Our client Lisa Elliott from Reading RG10 chose the stunning Rosemary Corian worksurfaces to add a touch more colour and warmth to their stunning kitchen. The 3 meter island had an 804 sweet Glacier White Corian sink seamlessly fitted with drainer grooves incorporated into the work surfaces. The utility room showcases a Belfast sink and proves that modern and traditional can work side by side in harmony. 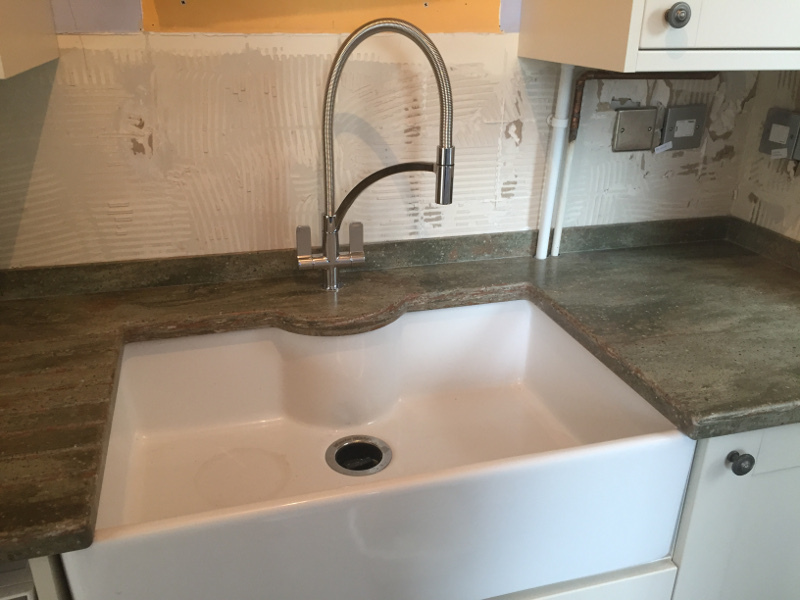 Both the kitchen worksurfaces and the utility were installed with a 50mm Square upstand which gives the perfect finishing touch. 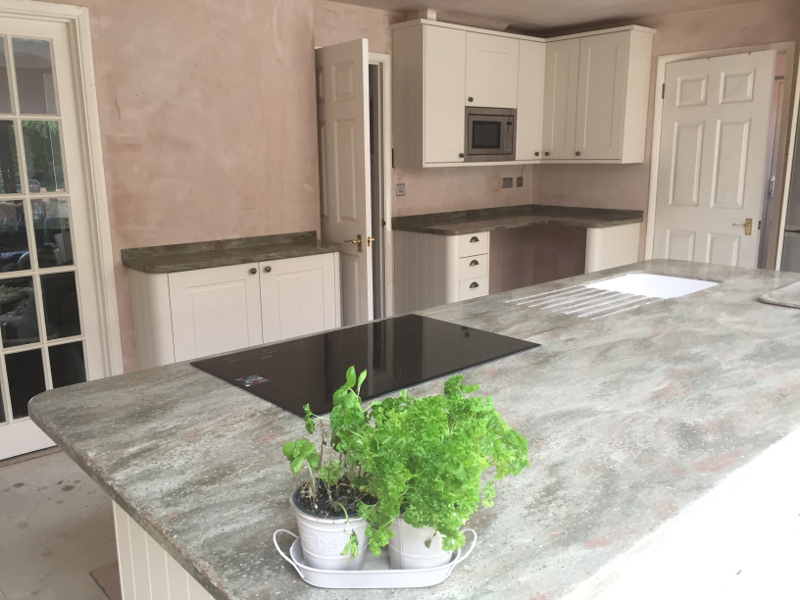 Rosemary is a veined colour and the island has a join in it but due to the expertise of our fabricators, it can’t be found – Completely inconspicuous. From template to installation: 9 days.